 The Center for Career Opportunities has established the 21st Century Partners Program to improve organizations’ visibility and recruitment efforts on campus. Hover or click the company logos below to research our partners and visit the Career Spots employer channel to view what it’s like to work at some of these great companies! ALDI now has over 1,200 stores in 32 states, and 4,000 locations worldwide. As the low price grocery leader, our highly successful business model is built on creating efficiencies at every level — from store construction to distribution to the specific products we stock. And one of the many reasons we thrive is our adherence to a simple principle that guides everything we do: if it doesn't maximize sales or reduce expenses, then it's not right for ALDI. It takes a unique person. Someone who is driven. Reliable. And ready to earn the rewards — like higher salaries, generous vacation time, and great benefits — that come from a successful career at ALDI. We're committed to recruiting the best and the brightest in the industry. Because we know that our company's success depends on you. Allison Transmission (NYSE: ALSN) is the world’s largest manufacturer of fully automatic transmissions for medium- and heavy-duty commercial vehicles, and is a leader in hybrid-propulsion systems for city buses. Allison designs, prototypes, develops and tests electronic controls, hydraulics and mechanical hardware. These technologies are released in Allison products for a variety of applications, including refuse, construction, fire, distribution, bus, motorhomes and defense. Founded in 1915, the company is headquartered in Indianapolis and employs approximately 2,700 people worldwide. With a market presence in more than 80 countries, Allison has regional headquarters in the Netherlands, China and Brazil with manufacturing facilities in the U.S., Hungary and India. For more information, visit allisontransmission.com. ArcelorMittal USA, the world's number one steel company with 320,000 employees in more than 60 countries, is a leader in all major global markets, including automotive, construction, household appliances and packaging, with leading R&D and technology, as well as sizeable captive supplies of raw materials and outstanding distribution networks. Steel is everywhere. It's in the cars we drive. It's in the buildings where we live and work. It's in the tools and equipment we use every day. In short, today's steel industry is growing, exciting and globally competitive. To meet ever-increasing demand with high-quality products, steel companies have become more high-tech. As a result, we're looking for talented people like you who are ready to help us build the future of steel. It’s that belief in the power of investing to transform people’s lives that is at the heart of the company Chuck started over 40 years ago. And a belief we all share at Schwab today with millions of clients – people who also believe that personal engagement, a sense of ownership and a commitment to investing and the future can create personal freedom and security. It’s why we say “Own Your Tomorrow.” Every day our employees bring to life their passion to serve clients and one another. This spirit of service fosters client loyalty, keeps us engaged and makes Schwab a special place to work. And in return for their unparalleled service to clients, we offer our employees the opportunity to build meaningful careers centered on purpose, not solely on profit. Union Pacific Corporation is one of America's leading transportation companies. Its principal operating company, Union Pacific Railroad, is North America's premier railroad franchise, linking 23 states in the western two-thirds of the United States by rail and providing freight solutions and logistics expertise to the global supply chain. The railroad has one of the most diversified commodity mixes in the industry, including chemicals, coal, food and food products, forest products, grain and grain products, intermodal, metals and minerals, and automobiles and parts. Union Pacific builds its strength by recruiting diverse individuals and cultivating an environment of opportunity and inclusion, where everyone can contribute his or her unique skills and talents. 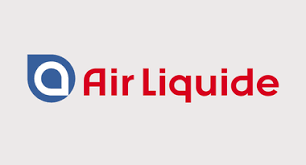 World leader in gases, technologies and services for Industry and Health, Air Liquide is present in 80 countries with more than 50,000 employees and serves more than 2 million customers and patients. Oxygen, nitrogen and hydrogen have been at the core of the company’s activities since its creation in 1902. Air Liquide’s ambition is to be the leader in its industry, delivering long-term performance and acting responsibly. At Air Liquide, through a variety of formal training and development programs, we offer both new graduates and students many exciting opportunities to develop their knowledge base, hone their skills and gain real-world experience. The Bechtel group of companies is a global leader in engineering, construction, and project management. With 40 offices worldwide and projects in nearly 50 nations, Bechtel offers challenging careers in power; mining and metals; civil infrastructure; government services; communications; and oil, gas, and chemicals. Bechtel has worked on some of the most complex projects in history and has been the top-ranked U.S. contractor for 13 straight years. We are hiring for open positions around the world, and are looking for today's top engineering talent and tomorrow's emerging leaders. Bechtel is among the most respected engineering, procurement, and construction companies in the world. We stand apart for our ability to get the job done right- no matter how big, how complex or how remote. The reliability of our performance, the enduring quality of our projects, the strength of our ethics, and the seriousness of our commitment to safety and sustainability are evident in everything we do. Bechtel delivers for its customers what others can only promise. Build your career as you build some of the most challenging projects in the world today. Eaton is a diversified, power management company providing energy-efficient solutions that help our customers effectively manage electrical, hydraulic and mechanical power. A global technology leader, Eaton acquired Cooper Industries plc in November 2012. The 2012 revenue of the combined companies was $21.8 billion on a pro forma basis. Eaton has approximately 103,000 employees and sells products to customers in more than 175 countries. Endress+Hauser is a global leader in industrial process measurement instrumentation, services and solutions. Over 12,000 employees worldwide provide process solutions utilizing flow, level, pressure, analytics, temperature, & data recording—to serve industries including chemical, food & beverage, oil & gas, water & wastewater, power, and life sciences. A Swiss-based, privately held, company we began U.S. operations in 1970, and are now one of the largest process instrument manufacturers in the country. Our Sales Center headquarters in the Indianapolis area is part of a campus which includes manufacturing, service and training. We hire across the U.S., including our regional sales locations in Philadelphia, Charlotte, Houston and Anaheim. We are always looking to add talented and motivated employees who can contribute to our success. Full-time, Internship, and Rotational Development Program opportunities are available. Start with us - choose Endress+Hauser, the '"People for Process Automation". Enterprise is an extended family of more than 68,000; a world-class company with homegrown roots. As the parent company of Alamo Rent A Car, Enterprise Rent-A-Car and National Car Rental, we have earned a reputation as a great place to work.  Across our organization, we have opportunities for people looking to grow and succeed. Through tremendous leadership and the entrepreneurial spirit of our employees, we've built the largest rental car company in North America — customer by customer, car by car from the ground up. But our goal has never been to be the biggest; we simply work hard to be the best. Founded in 1873 and headquartered in Kohler, Wisconsin, Kohler Co. is one of America’s oldest and largest privately held companies comprised of 32,000 associates. With more than 50 manufacturing locations worldwide, Kohler is a global leader in the manufacture of kitchen and bath products; engines and power systems; premier furniture, cabinetry and tile; and owner/operator of two of the world’s finest five-star hospitality and golf resort destinations in Kohler, Wisconsin and St Andrews, Scotland. For more details, please visit to KOHLER.com. Phillips 66 is built on more than 130 years of experience. Phillips 66 is an energy manufacturing and logistics company poised for growth. The company's high-performing refining, marketing and specialties, midstream and chemicals businesses make products people use every day. With a diverse portfolio and 13,500 employees, Phillips 66 is uniquely positioned to capture opportunities in a changing energy landscape. Headquartered in in Houston, Phillips 66 [a Fortune 500 company] has assets of $51 billion as of March 31, 2013. Shell Oil Company is a global group of energy and petrochemical companies. The aim of the Shell Oil Company Group is to meet the energy needs of society, in ways that are economically, socially and environmentally viable, now and in the future. We operate in over 140 countries and territories, and employ approximately 109,000 people. Our core values of honesty, integrity and respect for people define who we are and how we work. These values have been embodied for more than 25 years in our Business Principles, which since 1997, include a commitment to support human rights and to contribute to sustainable development. Welcome to a world where your ideas can fuel endless progress! 3M is fundamentally a science and technology company: applying our science to life! At 3M, success begins with our ability to apply our technologies, alone or in combination, to an endless array of real-world needs. Here, you’ll help develop products that change and improve the way people live and work. Here, you’ll realize boundless opportunities for professional success. As a powerhouse of innovation, our industry leadership is extensive—everything from homes and health care to electronics and transportation. Whatever the challenge, our people collaborate across disciplines and around the world to take it on. Find out more about what makes 3M a uniquely rewarding place to learn, grow and contribute. Join us at 3M: Be Part of What’s Next! ADM is one of the largest agricultural processors in the world has earned its place as a global leader. This accomplishment would not be possible without our employees, whom we recognize as one of our most valuable assets. We commit substantial resources towards developing the intellectual capacity and creativity of our employees. We nourish the entrepreneurial spirit, provide opportunities for our employees to grow in their careers and reward contributions. The result is that ADM, through the efforts of our employees, is making a significant contribution toward ending global hunger, developing renewable energy sources and unlocking the endless potential of nature while also unlocking our employees' potential. Caterpillar is a driving force in logistics, automation, financial services, power generators and many other industries - we've even leveraged the strength of our brand into an international footwear powerhouse. No matter what we do, our commitment to excellence in every aspect of our business has made the name Caterpillar a symbol of strength, respect and integrity all over the world. Caterpillar is a global company with opportunities to travel and work at locations across the US and abroad. We have manufacturing facilities in 21 countries, marketing headquarters in 11 countries and distribution centers in 19. Chevron is one of the largest integrated energy companies in the world. 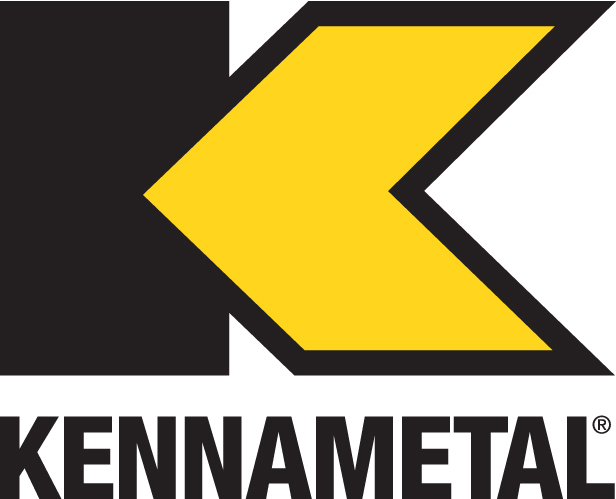 Headquartered in San Ramon, California, and conducting business in approximately 180 countries, the company is engaged in every aspect of the oil and natural gas industry, including exploration and production; refining, marketing and transportation; chemicals manufacturing and sales; geothermal and power generation. Chevron gives graduates the chance to translate their education into meaningful work. Graduates are invited to become part of our global mission to provide people around the world with the energy they need to live well and work successfully. Codelicious creates access and removes barriers to teaching and learning computer science. We believe in the importance of building foundational skills early to prepare our future workforce.  Codelicious builds confidence in educators and students in the classroom by providing instant access to computer science curriculum for grades 3-8 that any educator can teach. Codelicious’ full-semester, interactive, comprehensive skills-building curriculum is education standards compliant and delivers measurable student outcomes through project based learning. ConAgra Brands believes in the power of great foods. Our Consumer Foods segment manufactures and markets leading branded products, found in 97 percent of American homes, to retail and foodservice customers. Our Commercial Foods segment manufactures and sells specialty products to foodservice and commercial customers worldwide. We provide extraordinary job opportunities for growth with competitive salaries and benefits in an exciting, fast-paced workplace. Having built a strong business case for diversity and inclusion, ConAgra Brands' Employee Resource Networks provide organizational and business insights to deliver leadership development experiences, to create an environment for exploring our uniqueness and to provide community support through volunteer opportunities in the community. Cummins is a global power leader, a corporation of complementary business units that design, manufacture, distribute and service engines and related technologies. Headquartered in Columbus IN, Cummins serves customers in approximately 190 countries. Cummins expects its employees to become leaders. If you operate as a leader, and relate well with the people, success at Cummins and in your own life will come. There are no rigid career tracks - so whether you desire to focus your skills on the management of technical projects and people, or if you want to dedicate yourself to becoming a research area specialist, or both - your assignments and career path will match your talents and interests. Fiat Chrysler Automobiles is the 7th largest automaker in the world. With the resources, technology and worldwide distribution network required to compete on a global scale, the alliance builds on Chrysler Group’s culture of innovation, first established by Walter P. Chrysler in 1925, and Fiat’s complementary technology that dates back to its founding in 1899. Headquartered in Auburn Hills, Michigan, Chrysler Group’s product lineup features some of the world's most recognizable brands: Chrysler, Jeep, Dodge, Ram, SRT and Mopar. The all-new FCA partnership adds recognizable Fiat brands: Fiat, Abarth, Lancia, Alfa Romeo, Maserati and Ferrari, into one company: Fiat Chrysler Automobiles. We are a global organization not just in numbers, but also in the spirit, mentality and ambitions of our people. General Electric is a global infrastructure taking on the world's toughest challenges. From everyday light bulbs to fuel cell technology, to cleaner more efficient jet engines, GE has continually shaped our world with groundbreaking innovations for more than 130 years. General Motors one of the world's largest automakers, employs 205,000 people in every major region of the world and does business in some 157 countries. GM and its strategic partners produce cars and trucks in 31 countries, and sell and service these vehicles through the following brands: Buick, Cadillac, Chevrolet, FAW, GMC, Daewoo, Holden, Jiefang, Opel, Vauxhall and Wuling. You're right to consider a career with General Motors. We're doing nothing less than reinventing the automobile and our company. We've created a culture and business environment based upon inclusion, mutual respect, responsibility, and understanding. So bring your ideas, and help us craft the best GM yet. Girtz Industries is a world class leader in the design and manufacturing of turnkey systems for all types of industrial equipment. Our highly skilled team of engineers develop solutions for mobile and stationary applications requiring equipment such as generator sets, energy storage systems, water treatment, chillers and boilers. Known for quality craftsmanship, Girtz services customers across diverse markets such as Oil and Gas, Data Centers, Water Treatment, Critical Power, Renewable Energy, Microgrids and more. John Deere is making use of the latest technological breakthroughs to produce exceptional equipment and provide first-class customer service. We're the world's leading provider of advanced products and services for agriculture and forestry and a major provider of advanced products and services for construction, lawn and turf care, landscaping and irrigation. John Deere also provides financial services worldwide and manufactures and markets engines used in heavy equipment. Founded in 1837, the company has extended its heritage of integrity, quality, commitment and innovation around the globe. We treat our people with respect and offer competitive compensation and outstanding benefits. Kimball International, Inc. is a leading manufacturer of design driven, technology savvy, high quality furnishings sold under the Company’s family of brands: National Office Furniture, Kimball Office and Kimball Hospitality. Our diverse portfolio provides solutions for the workplace, learning, healing and hospitality environments. Customers can access our products globally through a variety of distribution channels. Recognized with a reputation for excellence as a trustworthy company and recognized with the Great Place to Work® designation, Kimball International is committed to a high performance culture that is committed to sound ethics, continuous improvement and social responsibility. To learn more about Kimball International, Inc. (NASDAQ: KBAL) visit www.kimball.com. Kimball International is a $540 Million public-traded company headquartered in Jasper, Indiana, United States. Norfolk Southern is one of the nation's premier transportation companies specializing in freight railroading. We operate approximately 21,000 route miles in 22 states and the District of Columbia, serve every major container port in the eastern United States, and provide efficient connections to other rail carriers. Norfolk Southern has the most extensive intermodal network in the East and is a major transporter of coal and industrial products. We are a team of more than 32,000 employees working together to maintain our reputation as "The Thoroughbred of Transportation". As an industry leader, Norfolk Southern offers a competitive salary and an excellent benefits package. PepsiCo offers the world's largest portfolio of billion-dollar food and beverage brands, including 22 different product lines that generate more than $1 billion in annual retail sales each. With net revenues of approximately $65 billion, PepsiCo's people are united by our unique commitment to sustainable growth by investing in a healthier future for people and our planet, which we believe also, means a more successful future for PepsiCo. We call this commitment Performance with Purpose: PepsiCo's promise to provide a wide range of foods and beverages for local tastes; to find innovative ways to minimize our impact on the environment, including conserving energy and water usage, and reducing packaging volume; to provide a great workplace for our associates; and to respect, support and invest in the local communities where we operate. Schlumberger is committed to delivering the best possible performance-anytime, anywhere. Each day, in 80 countries, we help our customers find and produce oil and gas with respect for the environment. We're looking for men and women to join our global family in this effort. You'll follow in the tradition of our founders, Conrad and Marcel Schlumberger, who transformed the energy industry with the revolutionary idea of using electrical measurements to map subsurface rock formations. Schlumberger engineers recorded the first electrical resistivity well log in Pechelbronn, France in September 1927. Their pioneering attitude has been the foundation of our success for almost 80 years, and why today Schlumberger is the world's leading oilfield services company. Since its establishment, SMC has been a leader in pneumatic technology, providing industry with technology and products to support automation based on the guiding principle of "contributing to automation labor savings in industry." SMC offers technology accumulated through the years, engineers that bring it to life in new products, production capacity which can deliver a variety of products in a short time, and an extensive sales network in the U.S.A. and throughout the world. With its goal of ever more advanced automation, and using its many achievements as a base, SMC is developing high quality, high reliable products to contribute to automation in industry, as well as in familiar areas of everyday life. Sonepar USA is made up of the finest locally managed electrical and industrial distributors. 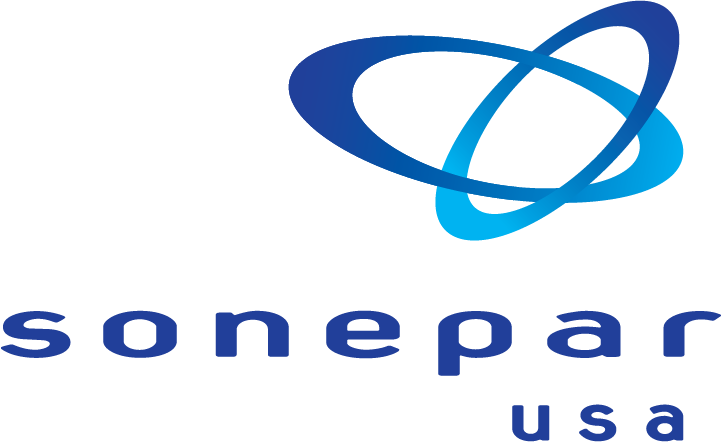 Headquartered in Philadelphia PA, Sonepar USA is part of Sonepar group worldwide organization, a global player in electrical equipment distribution. The Sonepar Group is present in 35 countries with over 32,000 employees worldwide. More information on Sonepar can be found at www.sonepar-us.com. Textron Inc. is a global, multi-industry company with approximately 36,000 talented makers, thinkers, creators and doers working in countless disciplines. Serving the aviation, defense and intelligence, industrial and financial industries, we make things that fly, hover, zoom and launch. Things that move people, protect soldiers and power industries. We make things that make a real difference in the world. What began as a single grain elevator and one man's dream has grown into a publicly traded company with diverse interests that include agribusinesses such as grain and plant nutrients as well as railcar leasing and repair, industrial products formulation, turf products and ethanol operations. 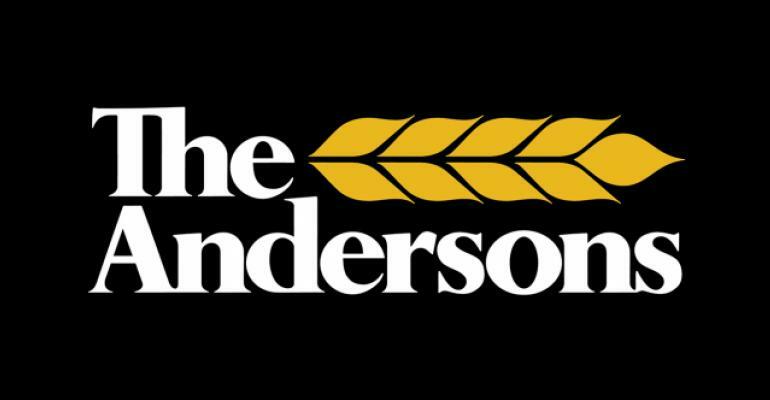 The premise of the original organization, founded by Harold Anderson and his family, was to make it as easy as possible for regional farmers to take their corn to market.